Welcome to episode 56 of the Maximise Potential Podcast. I would hazard a guess that the majority of you tuning into this podcast do so because you have a passion for continuous learning and professional development that you can apply within your career and workplace. Yet, if you are like me, you are inundated with so many different avenues and formats of learning that it makes it incredibly difficult to choose what you believe will be the one that offers the most benefit to you or your team. And it was having a conversation about this very issue that led me to the interview we’re featuring today. I would like to introduce Alex Adamopolous who was someone who did take the time to question the effectiveness of traditional approaches to learning and came up with his own strategy to enable learning to be quicker, more memorable and ultimately more effective. I went into this interview with the premise that it would be focussed solely on the techniques associated with learning, however it was clear from how the interview developed that Alex’s underlying passion were people – and how his approach is orientated to empower and develop individuals to enable them to make the most of their skills and opportunities. Without doubt, the 70 – 20 – 10 model that formed the basis of so much of what Alex spoke about is well-worth mentioning again; 70% of work-related training & knowledge is gained whilst on the job itself, 20% comes through mentoring, whilst just 10% is from the classroom. Alex referred to a research report on employee engagement, which at the time he was unable to qualify. However, since recording the interview we can confirm that Alex’s figures were accurate and the report is titled ‘the state of the global workplace’ compiled by Gallop. On a final note, I would like to recommend that you visit Alex’s company’s website, which can be found at http://www.emergn.com/ where you will find and incredible array of further articles and resources on this subject. 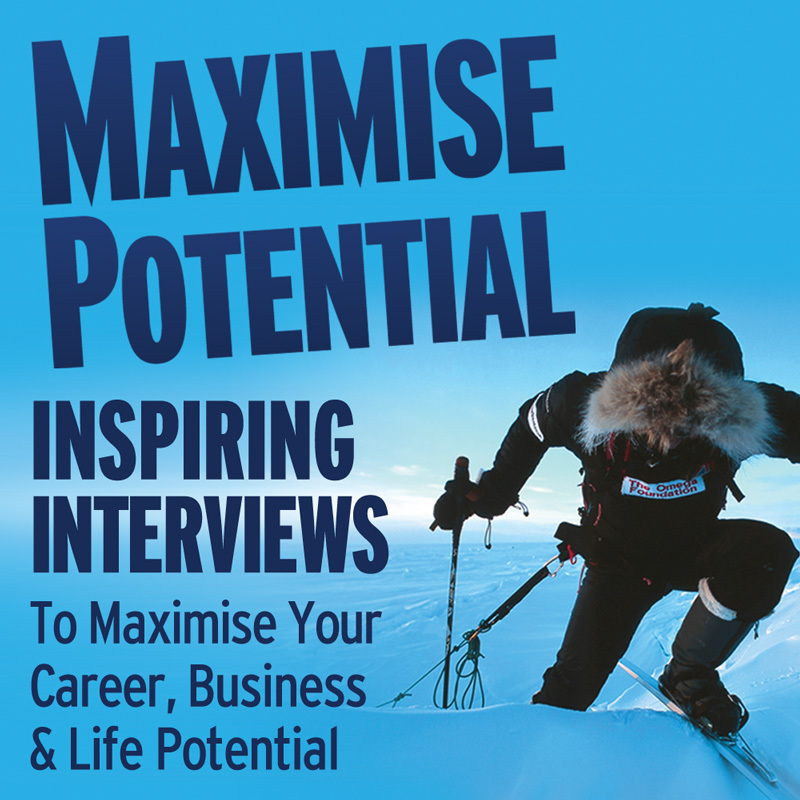 Alex, thank you so much again for appearing on the Maximise Potential Podcast. I’m sure you remember my interview with Dave Sissens on episode 45 where he re-lived his experience of trekking to the North Pole – well, earlier this year Dave was at it again with an even more extreme challenge. I’m going to sit down with him soon to record the interview and I hope to have it live before Christmas!